While the government may have been shut down over the past few weeks, the strong performance by students in Washington, DC on the most recent administration of annual assessments proves that schools are very much open for business. Several years ago, Washington, DC adopted higher academic standards to help prepare students for success in college and careers and an annual assessment aligned to those standards. That assessment has helped educators, families and policymakers understand where students are succeeding and where they are struggling. Since the implementation of Partnership for Assessment of Readiness for College and Careers (PARCC) annual assessment in 2015, students in Washington, DC have made great strides in English language arts (ELA) and math in grades 3-8. 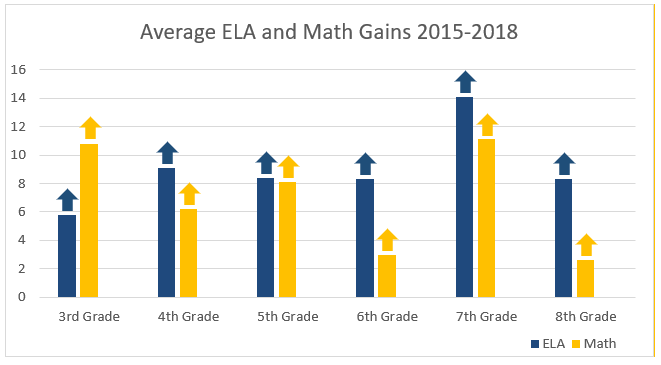 Over the past four years, the number of students reaching proficiency has increased by an average of 8.5 percentage points in ELA and an average of 7.3 percentage points in math. Importantly, students of color have also made strong progress – in fact, much of Washington, DC’s trending success can be attributed to impressive gains by traditionally underserved students. 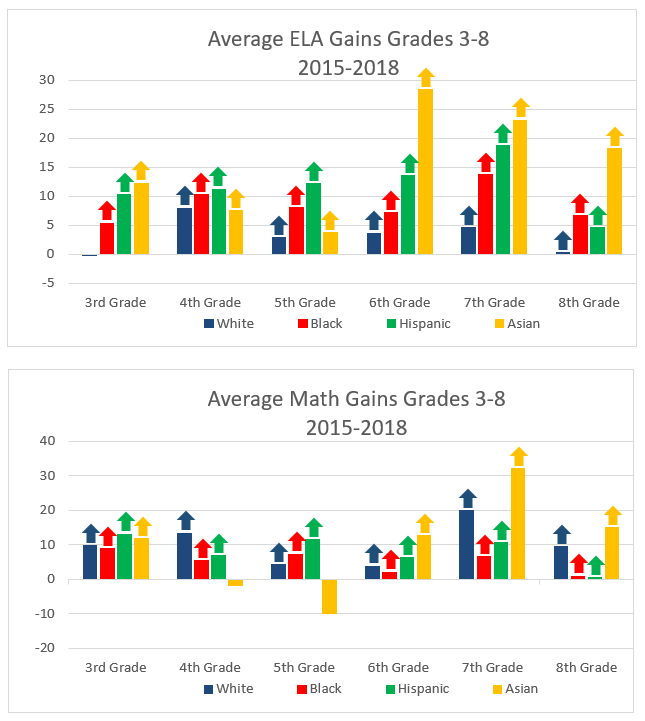 For example, Hispanic students made above-average gains in both ELA and math in grades 3-7 since 2015. In 7th grade ELA, they saw an 18.7 percentage point gain! African American students have also seen their proficiency increase by an average of 8.5 percentage points in ELA and 5.2 percentage points in math since 2015. While these gains are notable, Washington, DC still faces a large overall achievement gap between white students and students of color, and more needs to be done to help all students succeed, no matter their zip code. Yet these trends are encouraging and speak to the hard work and effort of Washington, DC’s teachers, administrators and students. Their hard work has also benefited from a faithful implementation of higher standards with an aligned assessment and support for educators. 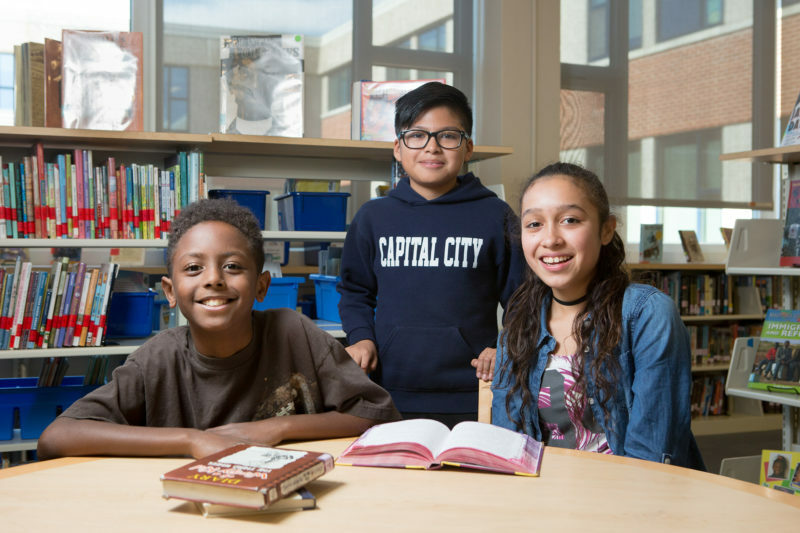 Washington, DC adopted rigorous academic standards in 2010, raising the bar for students and preparing them for success in college or the workplace. To assist in the rollout of the new standards and work with their teachers, Washington, DC supplied standards-aligned model units and lesson plans that educators used to develop their coursework. Additionally, teachers and administrators continue to closely analyze and study performance data from the PARCC assessments to monitor trends and identify students’ strengths and weaknesses. Washington, DC implemented its new standards over three years with an organized structure and plan to familiarize educators. This included providing coaches that conducted professional development with teachers on instructional strategies and content specific to the new standards. The coaches also worked individually with teachers to improve their use and understanding of newly-collected data on student performance. There is much work ahead to support all students, but there is strong evidence in states across the country that high standards are proving effective, and that states can benefit from doubling-down on implementing higher standards with fidelity.